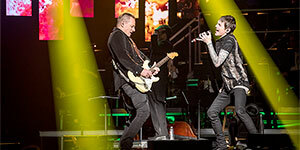 See Chicago, the legendary rock band with horns, live in concert on April 15! Original band member Robert Lamm joins us to chat about how the band specifically resonates with New Jersey-ans and the impact of their recent Netflix special. Bert: We’re back on All Access with State Theatre New Jersey. Kel, I’m going to try to not get into fanboy mood for this particular segment. You know I do that sometimes, but it is hard to not be excited when you’ve got a member of the Rock and Roll Hall of Fame, and just a guy whose music has been the soundtrack of so many lives. We are so excited about Chicago coming back to State Theatre on Monday April 15 at 8pm. What an honor to be joined by Robert Lamm here on this segment of the show. Robert welcome to All Access with State Theatre New Jersey. Such an honor to have you here with us. Robert: Great to speak with you and I’m really excited about coming to New Jersey. Long time fans. There is something about the band that has resonated with New Jerseyans. It will be fun. Bert: We’re excited to have you back. Was binge watching shows on NetFlix, and thought of checking out the Chicago special. I was a gigantic fan of you guys before watching the special, but it reinforced what a great and enduring band Chicago is. Did the Netflix special get more people turned onto your music that may not have been before. Robert: I think so. The fans knew it was coming, but I think people that were just searching Netflix may have just seen it, and we did drew new fans. Kelly: You are the first American rock band to chart Top 40 albums in six consecutive decades, which is amazing. Just the hits flowing, the Lifetime Achievement Award, two Grammy Awards®, multiple American Music Awards—this is just amazing stuff. After all of these years, do you ever get tired of it? Robert: No, it is exactly the way that we planned it. No, I’m just kidding! The one that I’m proudest of is being voted in Songwriter Hall of Fame. Jimmy (James) Pankow and myself were inducted separately a couple of years ago. That was really a joy because Jimmy and I had written Chicago’s repertoire. At that particular ceremony we met so many songwriters whom we were fans of. It was incredible to inducted, but also to meet so many great songwriters. Bert: What I think I love most about Chicago is that when I talk to the fans and mention the name Chicago, everybody has a different favorite song. People come out to see Chicago for so many different reasons. Are you guys aware that every tune you do might be somebody’s favorite? Robert: Yeah, we are. This year we play a two part show and the repertoire is pretty extensive, and there are a couple of surprises. We will play some songs that we usually do not get to play. Kelly: Yeah, the amount of songs you guys have is crazy! There is no way you could play every song. When you are preparing for the tour and putting together what you are going to perform, and you say you pop in some surprises, how do you go about that? Is there something you just have not played in a while? Do you every do some covers? Robert: We have done covers from time to time. But people say to play that song, you are not playing what we came to hear. So we learned that over the years, people that come to Chicago concerts want to hear Chicago songs. Bert: Yeah, no question. And I think the other great thing about Chicago and the sound is that people would say “Oh, Chicago! What’s their style of music?” There is no answer. You guys do so many different styles so well. There is no unique style, you guys have done so much. So there is no one style for Chicago, is that fair to say? Robert: Yeah, there is no one style. And really we put together the set, we think about the pace of the show, and spreading the vocals out evenly. We try to start off easy, and end up frantic at the end. Kelly: You mentioned your song writing, and everybody has a different process of how they put together songs. Did you find that through the years your process has changed? Did you start out one way and through the years it just evolved into another approach? Robert: When I started out I did not know what I was doing, but now I do. So in that way, that is a major change. I think in the beginning it was pretty much just sit at the piano and see what happens. Now we have a sorts of software we can use, and put demos together easier than in the beginning. The process does not really change much. We are working on a project now, and the process has not changed. Bert: Unbelievable stuff and we are excited about that. 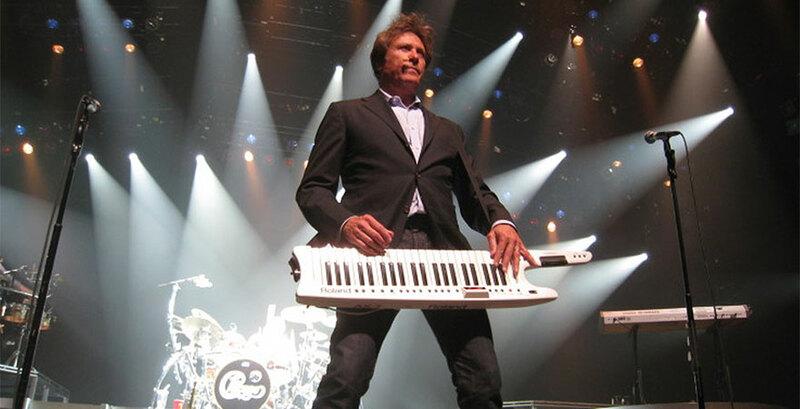 Robert Lamm is with us from the band Chicago Monday, April 15 at 8 pm at State Theatre New Jersey. Get tickets if any are left at stnj.org. It’s going to be a great night! Chicago is one of these bands that when you guys get out on the road, people know about it and get excited. What are some other places that you are going to play on this tour? Is that any places that you’ve always wanted Chicago to play, but it just have not done so yet. Robert: We have not gone to China yet. We came close. We are working on that. Other than that, we have pretty much played everywhere. It’s really our honor to play our music all over the world to people who love it. We are just thrilled that we have that type of following. But to answer your question, on this tour we are starting in Florida, and then move of the southeastern coast. Then we will take a little break and continue in May. This year is strictly a North American concert. We’ll also go to Canada and a little of Mexico. Most of the arenas will be good sounding theatres. I know the one in New Brunswick is a great theatre, so we are looking forward to it. Kelly: One of the things I love about Chicago is that you guys generously support a multitude of charitable causes, such as American Cancer Society. Has that always been a part of the bands mission, to donate to these causes? Robert: Yes. We recently got involved with an organization that is trying to get schools to do something about making the schools safe for the students and teachers. It is based upon some of the survivors of the school down in Florida. One of the kids who was murder name is Alex, and his name is used as part of this organization called Safe Schools for Alex. So, that is something that we just got involved with, and that one is less under the radar than most of the other things we have been involved with over the years. It is a need that is current, and something that is crucial. Bert: Yeah, I agree. We are so honored to have Chicago on April 15 at 8 pm. Visit stnj.org for tickets and information. Robert Lamm, what an honor to speak with you. We are so excited to have the band come out soon.